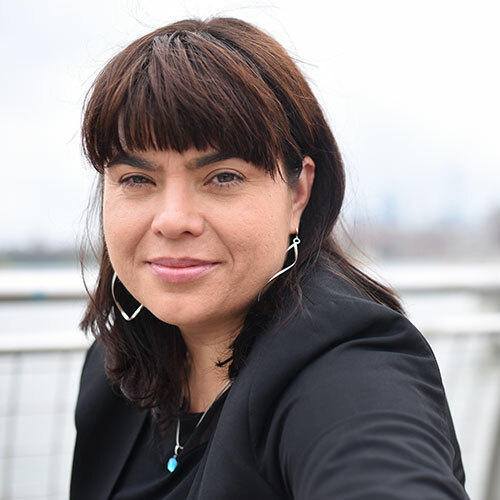 Hilke Schellmann is an assistant professor of journalism at NYU and an Emmy-award winning investigative reporter. Using innovative multimedia tools, she focuses her reporting on unearthing systemic wrongdoing and its impact on vulnerable people. As an independent filmmaker, Schellmann shot, produced and directed the investigative documentary Outlawed in Pakistan which aired on PBS FRONTLINE. The film was dubbed “among the standouts” at the Sundance Film Festival by The L.A. Times and called “extraordinary” by Variety. The documentary was recognized with an Emmy, an Overseas Press Club and a Cinema for Peace Award and successfully played at prestigious film festivals such as IDFA, Full Frame, Thessaloniki Film Festival and AFI Docs. In Schellmann’s latest investigation into student loans for VICE on HBO, she uncovered how a spigot of easy money from the federal government is driving up the cost of higher education in the U.S. and is even threatening the country’s international competitiveness. The immersive documentary was named a 2017 finalist for the Peabody Awards. Schellmann’s work has appeared in several publications including The New York Times, VICE, HBO, PBS, TIME, ARD, ZDF, WNYC, National Geographic, Glamour and The Atlantic. For two years, Schellmann spearheaded video coverage as a Multimedia Reporter for the New York section at The Wall Street Journal. Prior to joining NYU, Schellmann was the Director of Video Journalism at Columbia University’s Graduate School of Journalism. She is currently shooting and directing a feature length investigative documentary. Schellmann is a Fulbright Scholar and holds an MS from Columbia University and an MA from Humboldt University in her native Germany. While in graduate school, she co-founded the nonprofit Center for Documentary Art UnionDocs in Williamsburg, Brooklyn and now serves on its advisory committee.